My dad loved the ponies. The ponies don’t ever really love you back, but somehow a real gambler thinks that when a horse that they bet on runs across the finish line in the money that the horse did it for them. Hardened gamblers never understand randomness and that putting your trust and your hard-earned money in a two ton animal that can poop while running full speed is a fool’s errand. One particularly bad day after he’d lost most of his stack, I’d made the mistake on the way out of the race track of asking him to buy me a ham sandwich for the twenty five mile ride from Opelousas, La. to our country home in New Iberia. “Hell no. You’ll eat whatever your mom has cooked for you when you get home!” We searched the massive parking lot for our car, me walking behind him in silence as the sun set over the delta. As we motored slowly away from the track, he steered with one hand and, with the other, pulled out a can of Skoal from the top pocket of his western shirt. He shook it, then popped the can between his thumb and pinky finger a few times to pack it down and then he held the wheel straight with his left fore arm and opened the can and slid a dip into his mouth with his right hand. Louisianans call the act of chewing tobacco all kinds of strange things–“hoss,” “dip,” “chaw,” and “Louie.” Dad started “dipping” when he stopped smoking, but Mom always said the dipping was worse. I noticed that a small portion of the wintergreen tobacco had sprinkled down onto his lap and the seat. He brushed off his seat and moved around to get comfortable for the 30-minute drive into the darkness of the Louisiana Haze Layer. Still mumbling to himself about the three horse and the eight horse that had just taken his wad of hundreds down to tip money, he picked up an old McDonald’s medium soft drink cup, stuffed with tissue, from the drink holder between the seats, spit into it once, then merged onto the I-10 and headed south toward home. As I watched the cars go by us and the orange and blues of the marshland sky fade to black, I found my mind drifting to the first time I beat him in tennis, on the courts of the city park that ran along the edge of the Bayou Teche. Dad was 40 at the time, and I was 13. His body had changed a lot since his glory days as an all-state baseball player; the only remnant of that period that was still with us was an old scrap book that mom kept with faded pages and a large “player of the year trophy” from 1958 that we kept in a case next to the guns we used for hunting each autumn. He was already drunk when he challenged me to the match, confidently decked out in his Sergio Tacchini tennis shorts, his favorite ostrich skin cowboy boots, and a pair of aviator sunglasses. The match was over in one set. It was not close. His usual strategy of trick, slice and lob was no match for my youthful power and the country club finesse to which he had treated me. 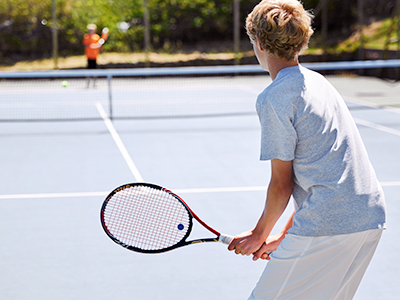 The score of our single set match was 6 to 2, a sound beating from his middle son. It’s easier to lecture someone on how to be a good sport than it is to be a good sport. After our match that day he drove without saying goodbye to Mom and without shaking my hand. When I proudly explained to Mom what had happened, she grinned; after all, it was he who had taught me that winning was everything. I’d always wondered if it had been closer if he’d have been sober and he’d have been wearing tennis shoes. Love is so close to hate sometimes and we never played tennis again. 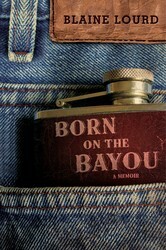 In the tradition of the modern classics The Tender Bar by J.R. Moehringer and The Liars’ Club by Mary Karr, Blaine Lourd’s Born on the Bayou is a powerful gothic memoir set in the bayous and oil towns of 1970s Louisiana. A rollercoaster rags-to-riches story, Blaine Lourd’s meaningful debut is both a nostalgic send-up of ’60s and ’70s Louisiana, and a heartfelt portrait of one family’s coming of age. Blaine Lourd was born and raised in New Iberia, Louisiana. He now resides in California with his wife and three sons and works in the finance industry. This is his first book.